Health-care surveys serve as a critical source of essential information on trends in health-care costs, coverage, access, and health-care quality. The findings derived from these surveys often facilitate the development, implementation and evaluation of policies and practices addressing health care and health behaviors at the national level. 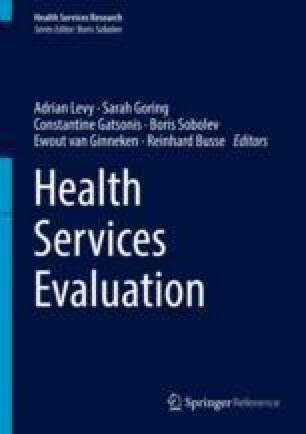 This chapter serves to illustrate several survey methods that enhance the performance and utility of health services research efforts. Attention has been given to the topics of sample and survey designs, nonresponse and attrition, estimation, precision, sample size determination, and analytical techniques to control for survey design complexities in analysis. Several of the topics that are featured in this chapter are further connected by their substantive focus on the measurement of trends in health-care costs, coverage, access, and health-care utilization. In addition to highlighting underlying survey operations, estimates, and outputs, the topics that have been covered also serve to identify potential enhancements that facilitate improvements in design, data collection, estimation strategies, and ultimately analytical capacity for health services research efforts.